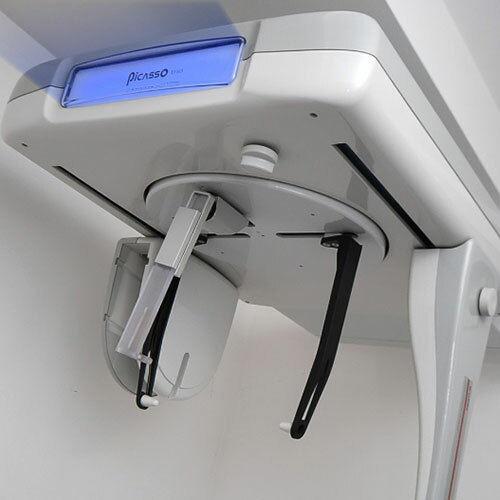 The London City Smiles clinic is equipped with an in-house 3D dental CT scan, so there is no need to go to another dental clinic or practice to get the much-needed images that are necessary for effective diagnosis and treatment planning. The 3D dental CT scan uses the EWOO software, which is guaranteed to bring about precise 3D imaging results of both the whole oral cavity, and the jaw bone. The EWOO software makes it easier for a dental implantologist to have a clearer view of the patient’s jaw bone and remaining teeth, so that the most accurate dental implant treatment planning can be achieved; the clear images from the in-house CT scan also makes it possible for dentists to avoid any damage to sensitive structure surrounding the area that needs to be treated – so that patients are assured of the safest dental procedures possible. Surgery time can be reduced with the help of the images obtained using the in-house 3D dental CT scan, so that the patient can look forward to having the necessary treatment without a prolonged surgical timeframe. The images will also be beneficial in presenting the patient with a more clear-cut visualisation of what the treatment will involve, as well as the improvements that need to be made – and will result to, after the treatment has been completed.